He started his acting career with Star Plus's daily show Ek Hazaaron Mein Meri Behna Hai. He played the character of Virat, a son of a rich family in Chandighar. Check out the most updated and latest information about Kushal Tandon's on the Internet.We have 112 videos of Kushal Tandon including interviews, events, or public appearances.Kushal Tandon has over 2276 Fans registered on India-Forums.com. We have 496 Television News articles related to Kushal Tandon.Do share your criticism, comments and feedback for the Actor on Kushal Tandon's comments page. We have over 50 Photos of Kushal Tandon to view and download including Kushal Tandon's Wallpapers. i jus loveee you sooo much you totally rock in ehmmbh!! !loveee you jaaan!! 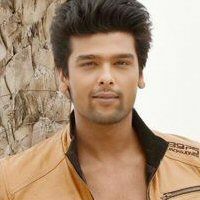 you are a lovely actor kushal...so far so gud !!!!!!!!!! !